Charter a private yacht and enjoy your New England maritime adventure, the refined city of Boston, the picture-perfect Nantucket island, ‘old money’ Newport, the Acadia National Park, and the Hamptons, summer retreat for the richest New York residents, being just some of the highlights. Brimming metropolis of Boston, whales at Cape Cod, fishing for lobster in Bar Harbour, Portland lighthouses, Colonial villages, fine museums and top notch restaurants. Given the staggering range of adventures and opportunities to choose from, your New England yachting journey will be the perfect vacation experience, once in a lifetime kind of thing. In Boston, the cradle of American nation, you get to see one surviving tea crate from the famous Boston Tea Party – the event that triggered American Revolution of the late 1700s. In Providence, consider going to a show in Providence Performing Arts Center. The acoustics and aesthetics of this place, as well as production standards, will leave a deep impression. 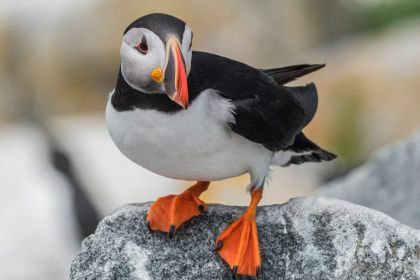 In Gloucester, the oldest American working seaport, see The International Centre for Birds of Prey, hold a falcon or an eagle on your hand and observe their majestic flying displays. In Cape Cod you are in for a different kind of fun. 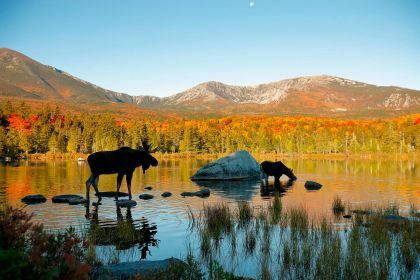 Ride a bike on a Shining Sea Bikeway, and you’ll be enjoying miles of scenic views, woods and cranberry bogs, freely roaming moose, pure fragrant sea breeze and a galore of adventures. There are plenty of horse farms around, so you can swap your bike for a horse and gallop away in this blissful land. In Provincetown, head to Race Point Beach, a beautiful place to walk along and collect shells. Fine soft sand, dunes, crystal clear water – it feels crisp, chilly and refreshing even in the heat of the summer. How convenient that you happen to be travelling on a luxury yacht! You can visit nearby islands and islets easily, without having to make any arrangements, just deciding that you want to take a look at a particular place. Take Martha’s Vineyard, for instance. Majestic views, lovely local farms, beautiful 19 century cottages, charming lighthouses, beaches and parks. Life goes at its own pace here, and when you are around, you can’t help but succumb to this lulling rhythm. Or Casco Bay islands. Breathtakingly beautiful scenery, birds such as a bald headed eagle (binoculars will be handy), interesting islands to explore and sunsets that are absolutely stunning. 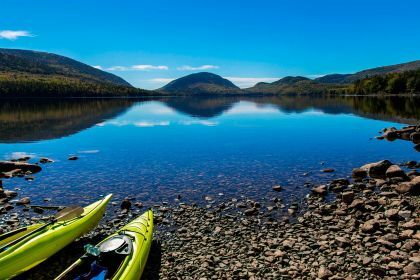 Newport, Portland, Rockland, Bar Harbour – there is so much to see in New England, and when you are yachting, you can enjoy these places at your own pace. You may want to linger in some areas, getting to know a particular destination better, or turn your yachting journey into a tight schedule thrilling quest, the choice is up to you. In any event, you are guaranteed a great time, lots of fun, whale watching and picture perfect memories. A word of advice: when you are in New England, go for local seafood; it’s very much unlike the seafood you can try elsewhere. People say lobster is synonymous with Boston, and it’s true. For upscale seafood dining experience in Boston, consider Ostra. This restaurant is classical, a little bit formal, with the standards set very high. On a different note, there is James Cook & Company – here you are in for informal – but extremely tasty – fare like lobster Mac and cheese or lobster rolls. Lobsters are amazing in every aspect, but there is more to delight your palate: brilliantly cooked codfish, oysters on the half-shell, king crab, mussels and fresh steamed prawns. Tired of seafood? 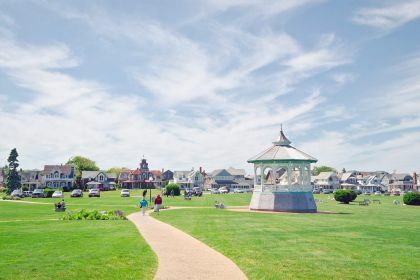 There are some excellent high end French restaurants, trendy fusion restaurants in Chinatown, amazing bakery in Martha’s Vineyard island, Bar Harbour blueberry ale and so much more! 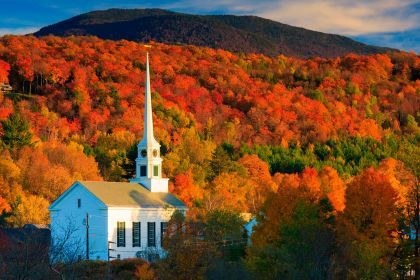 New England is a good place to spoil that inner gourmet, and also bring home some of local specialties to treat your friends and family. Ready for live music, cool bands, exotic cocktails and best DJs? Nightlife in New England is special, vibrant and diverse. Club lounges, outdoor bars, pomegranate margaritas in Nantucket, stiff drinks in Newport, and Boston comedy clubs which are a cultural phenomenon in themselves. Since New England is an extremely popular yachting destination, you’ll find plenty of theme establishments such as Forty 1° North, which is a hotel marina resort where outside visitors are also welcome to the bar area and outside lounge. 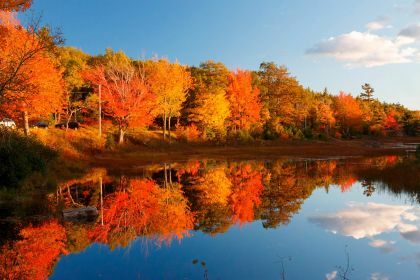 New England is full of amazing opportunities, fantastic destinations and interesting communities, and there is no better way to see it than from a deck of a luxury yacht. Contact our competent charter broker and we’ll make sure your tailor- made yachting vacation in New England exceeds your bravest expectations.